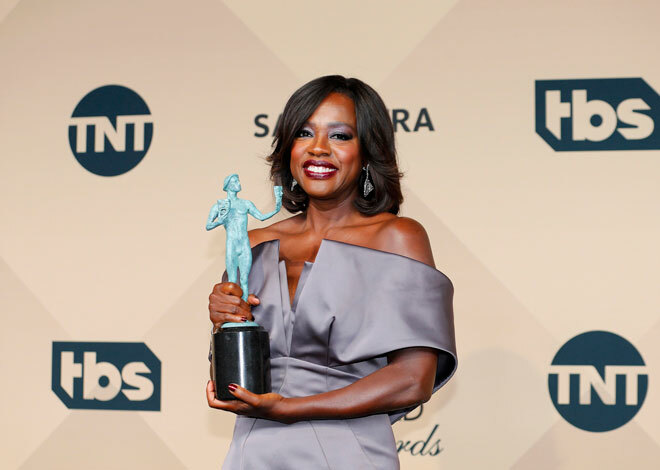 For most of the 22nd Annual SAG Awards, things went as expected, as when a luminous Viola Davis took home her second SAG Award in a year for 'How To Get Away with Murder' and film frontrunners Leonardo DiCaprio and Brie Larson landed top honors for 'The Revenant' and 'Room,' respectively. But the voters kept things interesting, with a few notable curveballs -- primarily in the TV categories. SURPRISE: 'Spotlight' Wins Ensemble 'No way,' Mark Ruffalo said while accepting for the cast of Tom McCarthy's acclaimed movie. And while not a total shock - the top prize was clearly between 'Spotlight' and 'The Big Short' - the buzz on the latter has been deafening for the last few weeks, particularly after winning the PGA Award. Both feature large ensembles filled with a great mix of established actors and new faces, but in the end it was 'Spotlight' who triumphed. SNUB: Jon Hamm, 'Mad Men' Though he has two SAG Awards as a member of the 'Mad Men' ensemble, Hamm has never won an individual SAG Award. Many thought this would finally be his year, with the show airing its final episode in May. 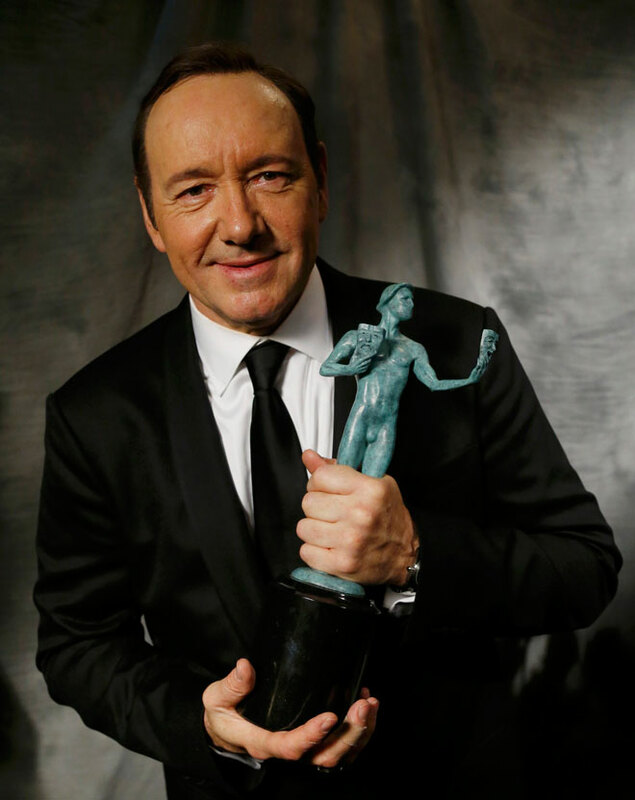 Instead, it was 'House of Cards' star Kevin Spacey who won, for the second year in a row. SURPRISE: Idris Elba, 'Beasts of No Nation' and 'Luther' The supporting actor race seemed wide open, with presumed Oscar frontrunner Sylvester Stallone ("Creed") not nominated for a SAG Award. Many thought it would go to one of the two actors nominated for an Oscar in this category - Christian Bale or Mark Rylance - but instead the prize went to Elba, who was also passed over for an Oscar nom this year. 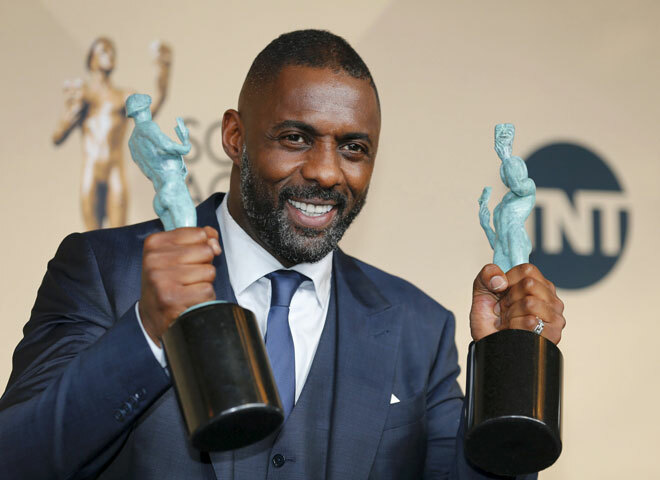 While his win for 'Luther' in the TV Movie/Miniseries category wasn't that surprising, combined with his film win, it proved to be a great night for Elba. SNUB: The 'Transparent' cast overlooked for even a nomination in its first year, many expected the Amazon series to take home comedy ensemble this year. 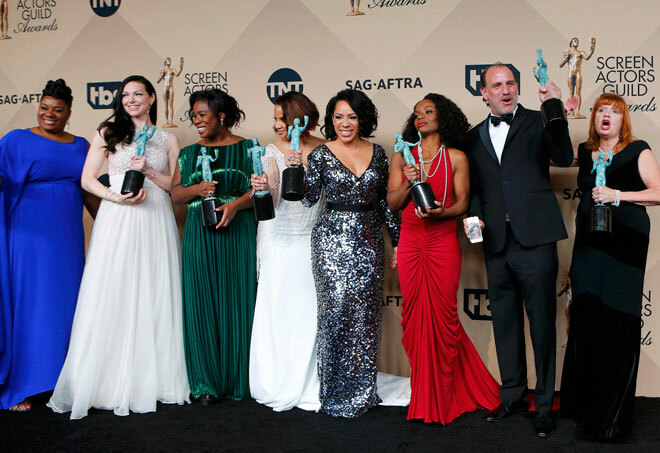 And while Jeffrey Tambor did win actor in a comedy, the rest of the cast went home empty-handed with 'Orange is the New Black' winning ensemble for the second year in a row. SURPRISE: 'Downton Abbey' Cast While there wasn't necessarily a frontrunner going into the show for drama ensemble, many were betting on recent Emmy winner 'Game of Thrones' or the final season of 'Mad Men' as the sentimental favorite. Instead, it was 'Downton Abbey' who took home the prize against 'your TV royalty,' as actress Lesley Nicol described the competition in accepting for the Grantham gang. 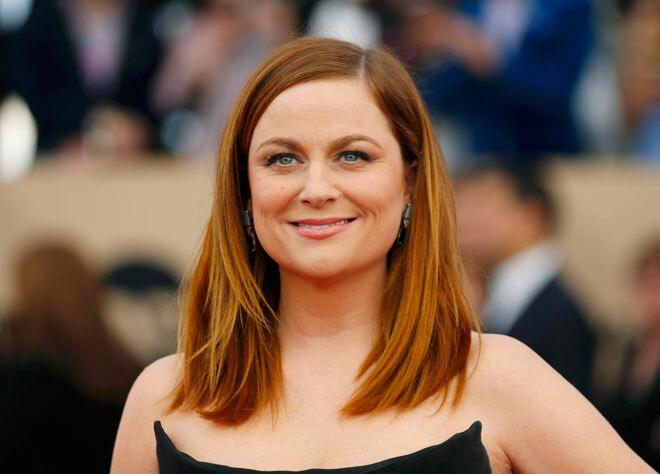 SNUB: Amy Poehler, 'Parks and Recreation' The well-liked comedian, who teamed with frequent collaborator Tina Fey to present SAG's lifetime achievement tribute to Carol Burnett on the telecast, went home empty-handed in her final year of eligibility for NBC's 'Parks and Recreation.' She's 0-3 with SAG Award noms to date.